JUST REDUCED - Very motivated Seller offers rental opportunities at The Fountains at Championsgate where luxury townhomes in a private gated community permit your guests to enjoy the Florida lifestyle of relaxation. This Tuscan themed rental community provides everything needed for an ideal vacation. 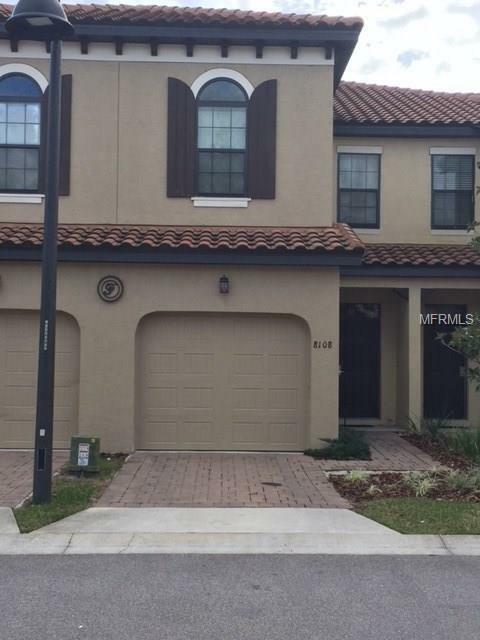 This spacious 3 bedroom, 2.5 bath townhome is fully equipped with furniture, linens, dishes, small appliances, tvs and is conveniently located to the theme parks. Solid wood cabinetry and granite tops throughout, the contemporary kitchen also includes stainless steel appliances, glass mosaic backsplash, pantry and breakfast bar. All bedrooms are upstairs with a washer & dryer closet just off the stair landing, This residence features a one car garage and patio that faces a small pond. Walk to the community clubhouse where there is an inviting pool, meeting room, and exercise room. This location is also ideal for walking to restaurants, grocery stores, convenience stores and provides easy access to Central Floridas major roadways. Short term leases up to one year are being permitted by the HOA. Owner can self manage or have a property management company handle the rentals and onsite rental program/management is also available.